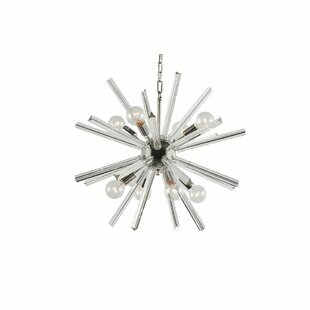 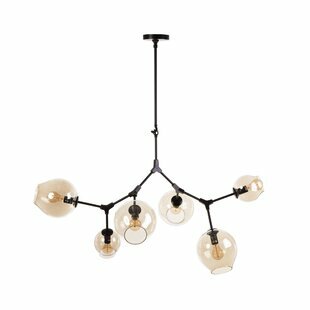 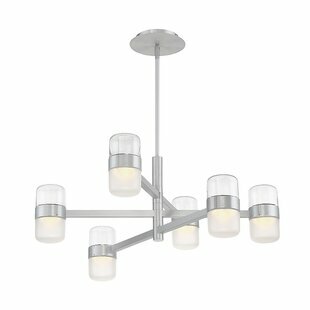 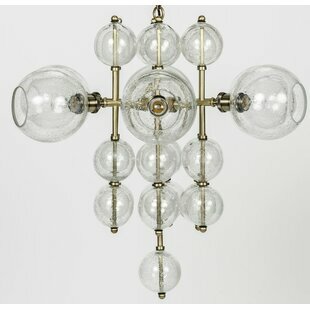 Contemporary and chic these twenty-four light chandeliers will add industrial look yet touch of glamour with its crystals balls mounted on sleek polished nickel arms. 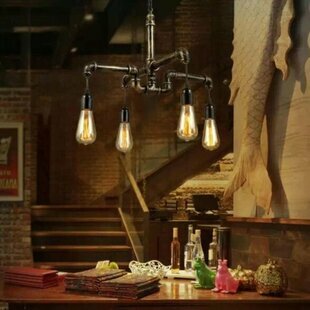 Exposed bulbs will fill in any room of your home with bright brilliant light. 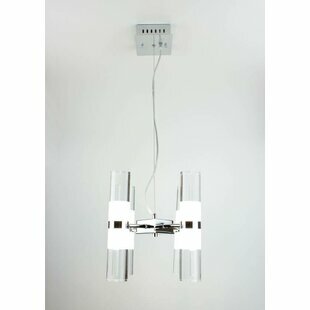 Dimmer switch compatible you can always set the mood to your preference. 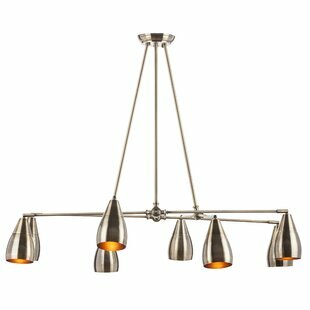 The manufacturer added bronze finish to the core and canopy to enhance contemporary contrast. 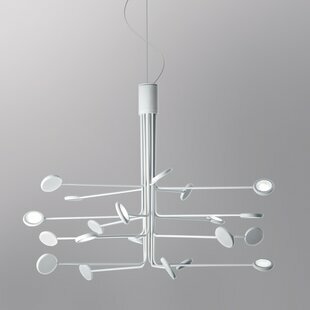 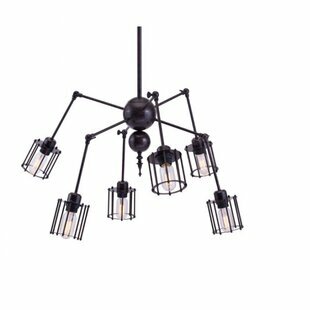 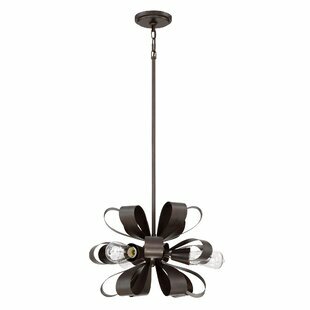 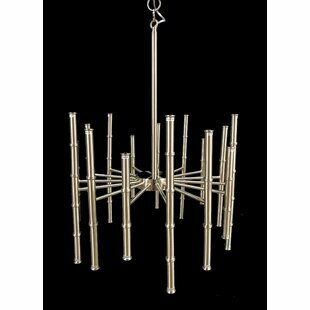 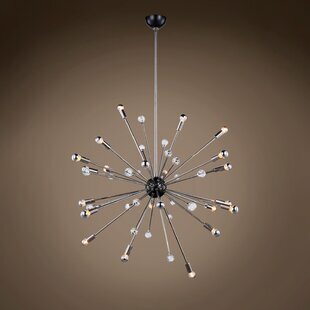 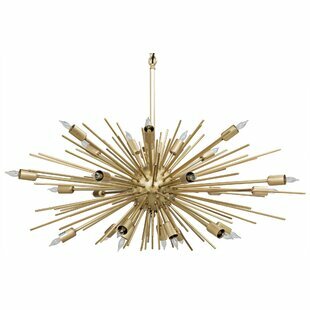 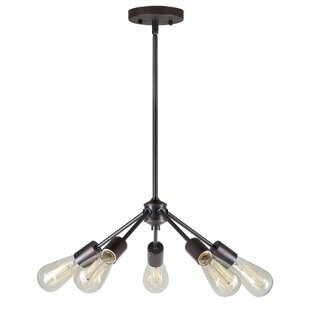 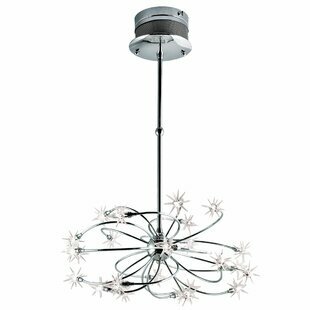 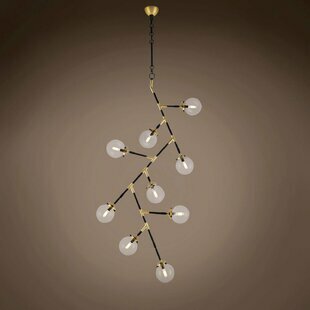 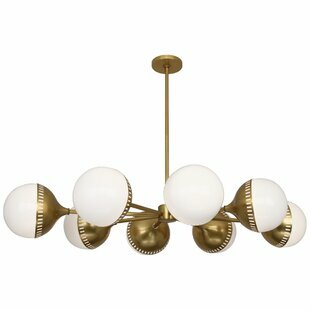 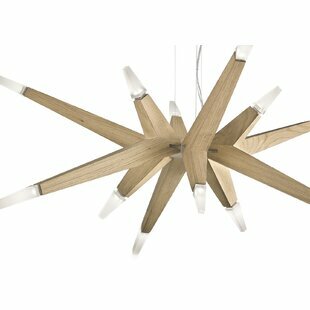 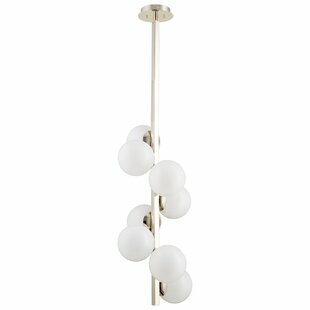 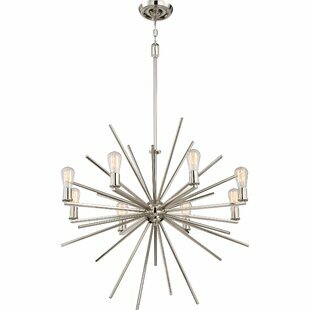 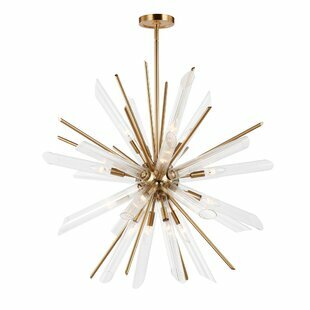 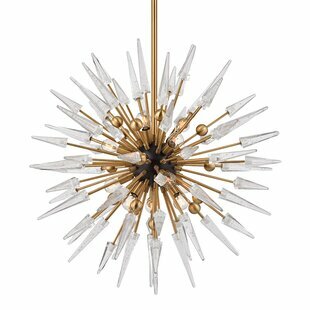 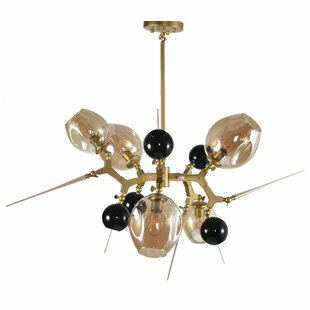 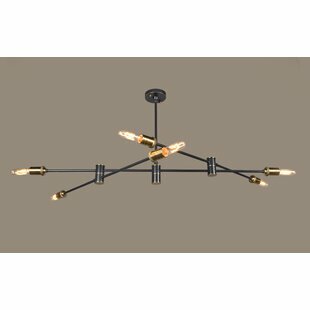 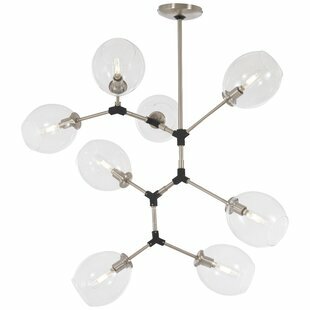 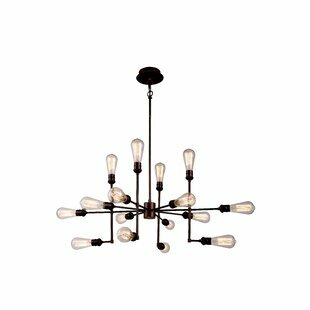 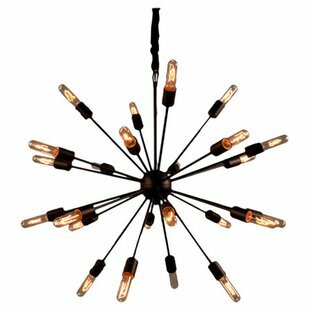 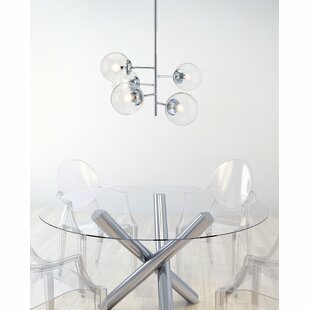 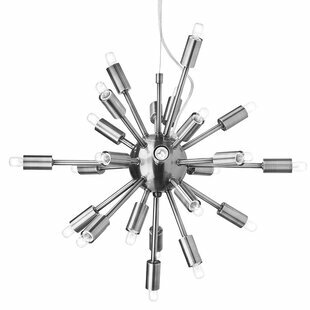 Number of Lights: 24 Fixture Design: Sputnik Adjustable Hanging Length: Yes Fixture: 70 H x 36 W x 36 D Overall Weight: 19lb.